Pamela L. Cox, chair of Marshall, Gerstein & Borun LLP’s IP Transactions practice, has been appointed to the Board of Directors for the Licensing Executives Society International (LESI). LESI is a not-for-profit organization comprised of members who focus on the transfer and licensing of technology or intellectual property rights. LESI was founded in 1972 with the objective to advance the business of intellectual property globally. To learn more about LESI, click here. Ms. Cox is recognized as one of the country’s leading licensing authorities, particularly in the life sciences. She received the LESI President’s Award for Individual Service, recognizing her outstanding years of leadership and service as Chair of the LESI Life Sciences Committee. Ms. Cox has held a number of roles in LESI and LES USA/Canada, including representing it as a delegate for seven years and serving as Chair of the Chicago Chapter. 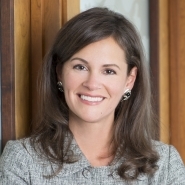 Committed to the profession, Ms. Cox holds a number of other leadership roles including Chair of the Certified Licensing Professionals and is an Adjunct Professor of Law in the Master of Science in Law (MSL) program at Northwestern University Law School.